At The Law Offices of Michael Catalanotto, PC, our clients come first. 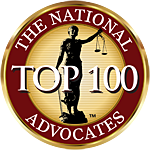 The Law Offices of Michael Catalanotto, PC is dedicated to achieving the best outcome for every client. Michael Catalanotto is widely regarded as an aggressive and effective litigator. Each client’s case is treated with exceptional care and attention. Mr. Catalanotto received his J.D. from Touro College of Law. In addition to his J.D., Mr. Catalanotto has a background in accounting and holds an M.B.A. from Salisbury University. Family Law is one of the thorniest areas of law, encompassing dozens of uncomfortable circumstances that nobody ever wants to endure. Sometimes there is no avoiding a legal confrontation, though, and at the Law Offices of Michael Catalanotto, PC, we pride ourselves on delicately handling these difficult situations and lessening the stress for all. Getting a divorce is filled with unpleasant and uncomfortable moments, none more so than determining custody of the children involved. The divorce will change the children forever and it is imperative that some sense of stability and comfort be established by the final custody agreement. Mediation is often recognized by unhappily married couples as the easier, less contentious and less expensive way to get a legal separation and/or a divorce. And while this can be the case, it is also true that mediation proceedings should be handled by skilled lawyers. A poorly handled mediation can cost a couple more than an actual divorce. A decision or verdict does not always mark the end of a legal action. If you are dissatisfied with the outcome of your case or want to defend a favorable ruling issued by a trial court, you will need an attorney who is well-versed in the appellate process. A decision or verdict does not always mark the end of a legal action. Disclaimer: This website contains general information only, and is not, nor is it intended to be, the source of legal advice or a legal opinion concerning any specific facts or circumstances. Neither the receipt of information contained on this website nor any contact by e-mail or otherwise with Michael Catalanotto or our representatives create an attorney-client relationship. You should consult an attorney for advice concerning your particular situation before acting upon any information presented on this website. Attorney advertising pursuant to New York RPC 7.1. Prior results do not guarantee a similar outcome.